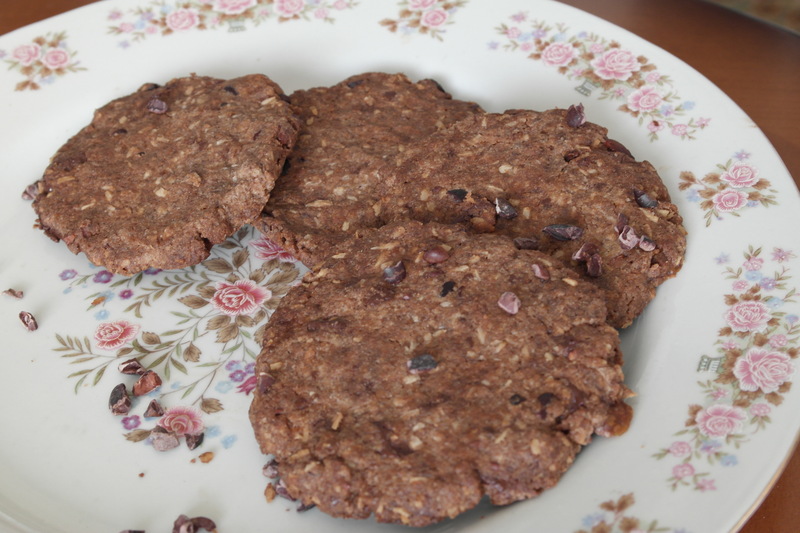 So often when you hear the phrase “healthy cookies” or “healthy dessert” you conjure up visions of dry, bland baked outcomes made with too little texture or not enough sweetness. Other times, people will claim that a dessert is “skinny” because it’s filled with “sugar free” this or “fat free” that. This is not the case with this recipe. 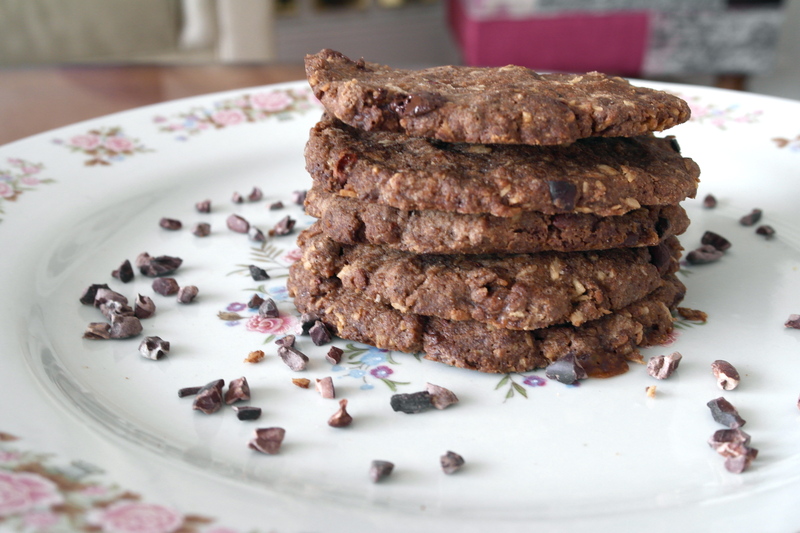 I am and have always been probably the biggest dessert fanatic, so claiming these cookies will satisfy your sweet tooth is a definite reassurance. 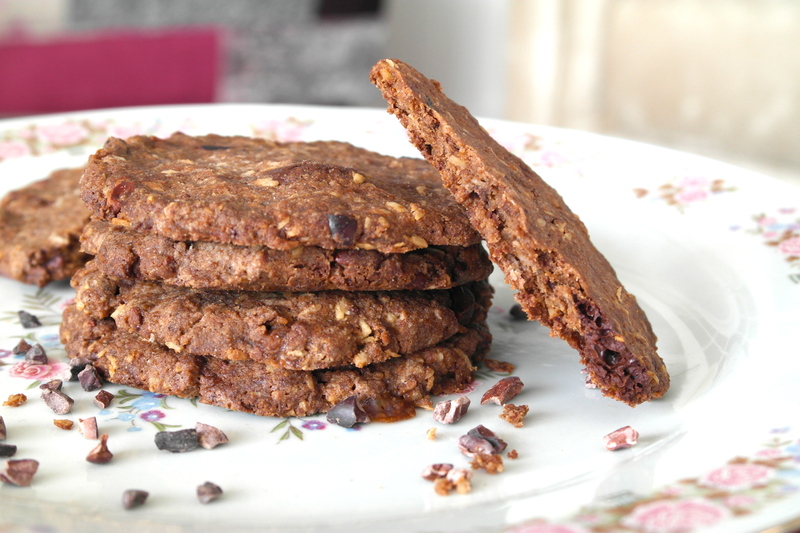 This recipe is gluten-free using a mix of buckwheat, cacao powder and desiccated coconut sweetened very lightly with coconut palm sugar and date syrup. I’ve added some vanilla extract as it works really well in the mix. 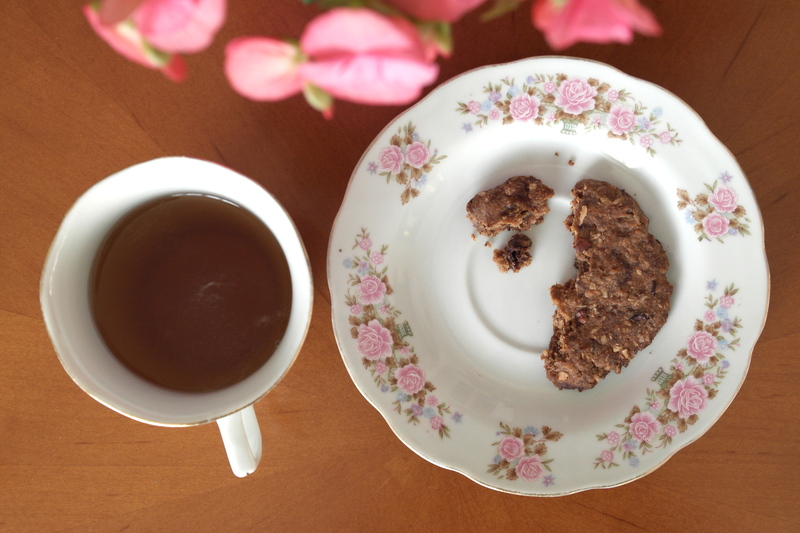 This cookie is served best with a delicious cup of afternoon tea or even just a cold cup of silky almond milk. My family loved these, they have such a nice crunch and a very biscuit texture. Also pretty quick and simple to make, definitely a recipe to try out! Preheat the oven to 180C, and line a baking tray with parchment paper. In a medium bowl, stir the flour, salt, cacao powder and baking soda together and set aside. In a small cup add in the flaxseed and water and also set aside. In a saucepan melt the coconut oil and add in the coconut sugar, vanilla extract and syrup. Slowly mix in the flour and flaxseed mixture, stirring until just incorporated. Fold in the roughly chopping chocolate and cacao nibs. Cover the bowl with cling film, and cool the dough in the fridge for about 20 minutes (or overnight), until the dough is firm. Once chilled, scoop dough onto the prepared parchment sheet, using a small cookie scoop. Scoop 1 tbsp of dough for each cookie, and press them together. Bake for 12-15 minutes, until golden around the edges. Allow to cool on the baking sheet for about 10 minutes before removing to a rack to cool. Serve and store leftovers in an airtight container (if there will be any left! ).